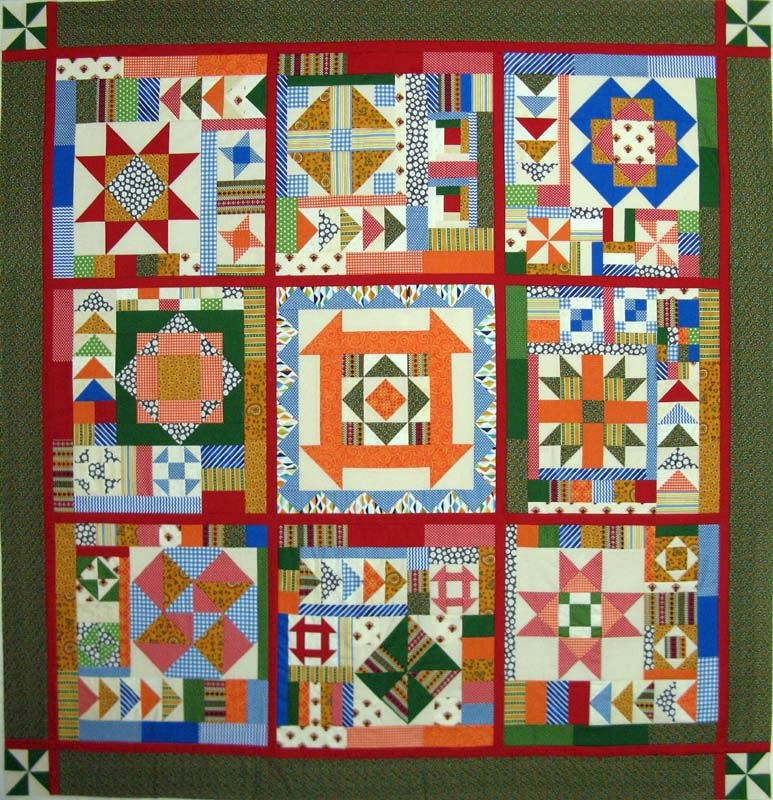 The last day of December, 2012, I challenged 52 Quilts followers to complete 13 UFOs in 2013. 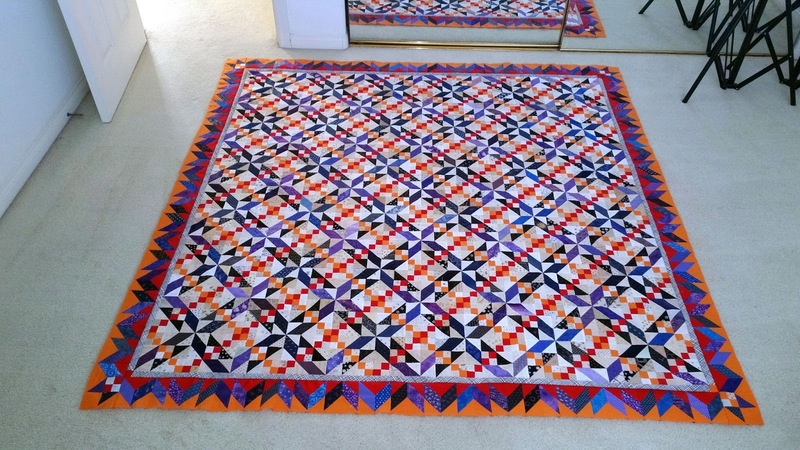 Since that announcement, every month loyal quilters have sent photos of their finished quilts. More than 400 in the four years following! Since I've taken a job at my fav LQS, Ruth's Stitchery, this blog has been sadly neglected. And the number of UFOs completed has dropped dramatically. So I'm sad to announce, this is the last UFO Parade hosted by 52 Quilts in 52 Weeks. I haven't decided whether or not to curtail blogging, but I will no longer issue a monthly challenge. So let's enjoy the final UFO Parade! 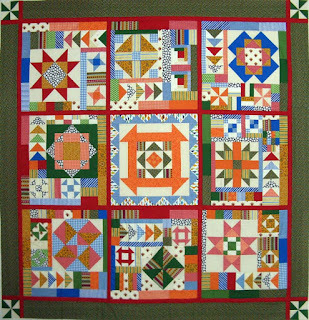 Bonnie Hunter mystery quilts are very popular among the UFO Challengers. And it's easy to see why, considering the huge number of pieces each one has. Are you doing her current mystery, En Provence? 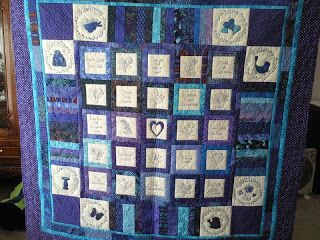 Kerry, of Kerry's Quilting, has finished several of Bonnie's scrappy quilts. This month, she sent a photo of her "Midnight Flight." More details on Kerry's blog, Kerry's Quilting. Sandi is another loyal UFO challenger, whom I had the pleasure of meeting last month in San Diego. It was like we had know each other forever! I look forward to seeing Sandi and Kerry whenever I visit My Little Sailor in San Diego. It's been fun watching Sandi's latest "kwilt" come together. This one is made from blocks Sandi won in a 100 Blocks blog hop. Read all about it at KwiltnKats. Sandi's second finish was a 52 Quilts UFO Parade prize back in 2014! She calls it Konstant Konnection, and you can read more about it here. Another blog follower I look forward to meeting is Susan-from-Australia. 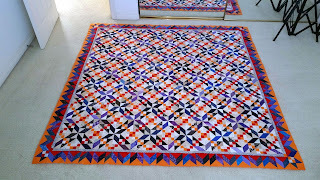 I really hope you visit Susan's Sewing Space to read the story behind her UFO entry (entries!) this month. It's really special. Most of my finishes these days are shop samples. I have five Strip Race quilts to share mid-month, I hope you'll come back to see them. Thank you to all who have participated in the UFO Challenge these four years. It's been lovely getting to know you and sharing your UFO quilts! No more UFO parade?!?! Sadness! I completely understand, though; it's not an easy thing to keep on top off when you are working. I certainly didn't have a finish every month, but I loved the extra incentive to work on projects and turn them into FOs instead of UFOs. Thanks so much for hosting the parade as long as you did!!! Oh this is sad...but I do understand ...I find it hard to juggle blog time... I will miss the incentive to get a finish over the line too, but I have been able to cull my UFOs over the last few years and got rid of a number of smaller projects. I will try to remember to go & visit Kwiltnkats. Thanks for your creativity and inspiration! I love how Sandi has creatively put all those blocks together. No more UFO parade? Just when I thought I would have time to join in! I will have to draw my own numbers in 2017. I understand how busy you must be. I only work ONE day in a shop! I will miss the UFO Parade and the mystery of what number would be drawn each month. 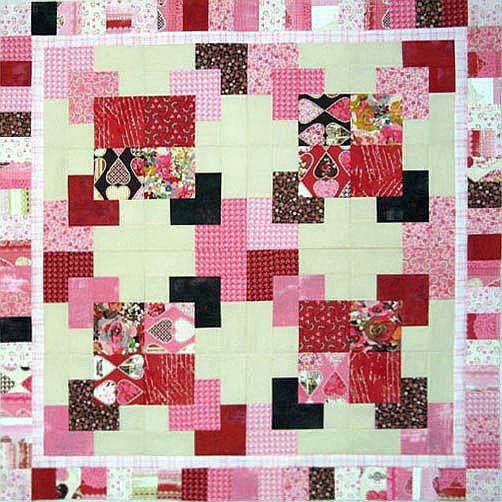 Hope you will still keep us up to date on the happenings at the quilt shop, and what you are working on. Look forward to seeing you the next time you are in San Diego!